Tarquin’s Gin is a contemporary take on the classic London Dry style of gin and is distilled by hand in tiny batches near Padstow on the coast of north Cornwall. Besides juniper and nine other traditional botanicals, Tarquin’s features handpicked violets as well as fresh orange zest to deliver a distinct, refreshing, floral and citrusy aroma. All of the botanicals are carefully selected and steeped in wheat spirit overnight inside one of three copper pot stills called Tamara, Senara and Ferrara. Only the heart makes it into Tarquin’s Gin, which is diluted to bottling strength at 42% alc/vol. Nose: Fresh, crisp and vibrant juniper. Light aromatic spice, orange blossom and a hint of cardamom. Body: Creamy, dry with delicate green pine and subtle frangipane. Finish: Crisp and clean, with lingering citrus zest and eastern spice notes. 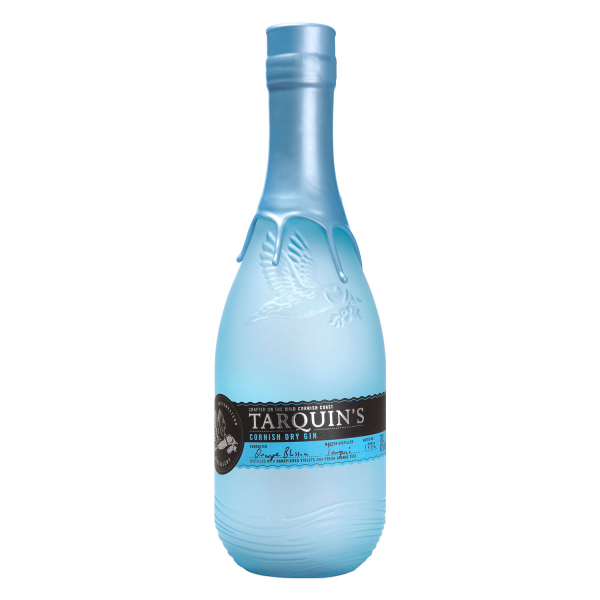 Related links to "Tarquin's Dry Gin"
Customer evaluation for "Tarquin's Dry Gin"